The rumbles and pings transport you back in time at Tilt Classic Arcade and Ale House. 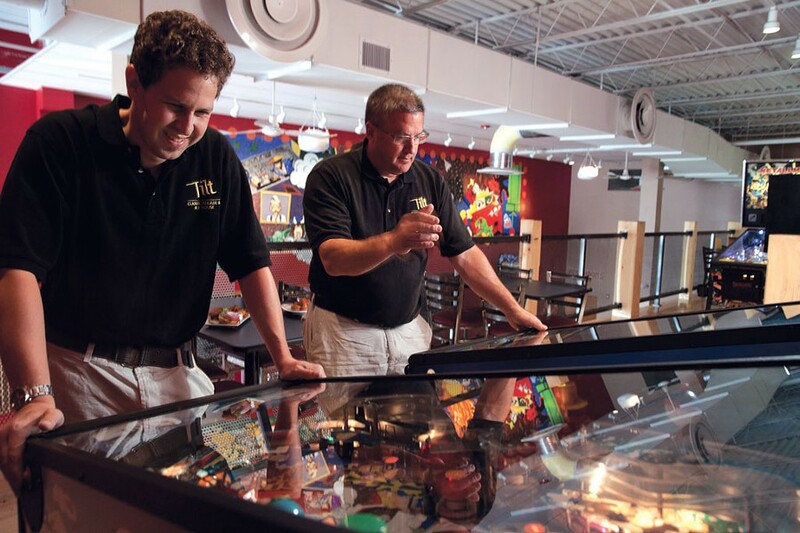 South Burlington's two-floor pinball paradise twinkles with glowing screens that illuminate the faces of adults and children caught in the act of old-fashioned gaming. 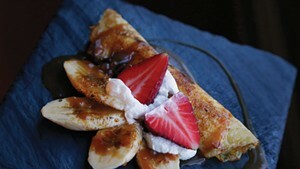 But as much as Tilt looks and sounds like the arcades of the 1980s and '90s, its menu is a modern departure. Tilt proffers wings, yes. But like nearly everything else on offer, they're organic and GMO-free. You can order them doused in a sauce made from Mayflower Brewing's porter, which is sure to appeal to the beer fanatics who line up at the long wooden bar. Drafts range from hard-to-find cult brews to Pabst Blue Ribbon. Beers and arcade-themed cocktails — such as Bowser's Bourbon Tipple — don't have to be consumed at the bar. Most of the gaming cabinets have built-in cupholders. Chef Thom Corrado's fare is likewise designed to be eaten on the go, perhaps between stages of The Simpsons or Teenage Mutant Ninja Turtles. Games such as Altered Beast and Ms. Pac Man may hail from Japan, but Tilt's cuisine plays with local ingredients. Made with curds from Vermont's Maplebrook Farm, the fried mozzarella is pinball shaped. The Tilt Burger features a patty of exceptional grass-fed lowline Angus beef from Hinesburg's Grass Roots Farm. It's topped with Shelburne Farms cheddar, garlic confit aioli and a single onion ring — a nod to the "one ring" of The Lord of the Rings pinball game upstairs. The local pork burger includes Vermont-grown 5 Knives bacon and the Cellars at Jasper Hill's Bayley Hazen Blue cheese. It owes its winning streak to a layer of sweet and tangy blueberry-shallot jam. The egg sandwich needs no such condiments. The duck fat in which the egg is fried bestows plenty of flavor on the tender bun and local bacon and cheddar. But the games are the main attraction, and Tilt's vintage selection allows adults to revisit their childhood favorites. One grown-up advantage: You can sip a spicy Hadoken cocktail while playing Street Fighter II, the game that spawned it. Providing a nostalgic experience with a taste of the future, Tilt's vision is a total KO.